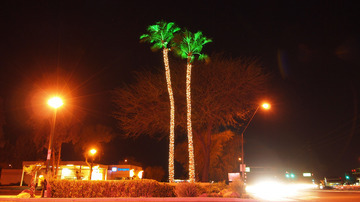 The lit palm trees just look cool. Spots below the leaves for a fresh green look. Well, it was a warm night in Tempe hovering around low 70's so I took this longer exposure shot from about here. This page contains a single entry by Franz Koeck published on March 28, 2011 12:45 AM. Welding was the previous entry in this blog. This.City.Is.Dead. is the next entry in this blog.